Are you struggling to pick the best theme for your Elementor website? Themes play an important role when designing a website. Choosing a multipurpose theme that works well your Elementor page builder might be confusing. In this blog, we have researched and sorted out a list of best themes that are compatible with the Elementor page builder. Take a look at all these themes before you make a decision. Before getting into the topic, let us find the difference between themes and templates as many confuse one with the other. What is the difference between a theme and template? A theme is the design of the entire website. 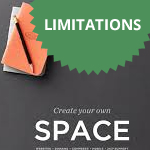 It contains font styles, background of the footer, header, color, layouts, design elements, images, videos, and many other sections of a website. A template is a single page layout that is available within a theme. It is not the design of the entire website. Every template is categorized under a theme where the HTML/CSS code for a template is located. By updating a theme, all templates under that particular theme will be updated automatically. However, the two terms – theme and template, are often used interchangeably, as most people do not know the difference. 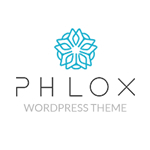 Phlox is a modern, lightweight, and highly customizable theme. This theme perfectly suits any type of websites like a blog, portfolio, business, travel, photography, and more. It is fast, has a grid layout, footer layout, sub footer bar, title layouts, threaded comments, exclusive widgets, elements, and a professional portfolio. It can be integrated with famous page builders like Elementor, Visual Composer, and SiteOrigin. Phlox has a large number of themes with varying styles. Click here to view themes. Astra is a multipurpose WordPress theme which is fully customizable. It has a custom menu, full-width template, and works perfectly with page builders like Elementor, Beaver Builder, Visual Composer, SiteOrigin, Divi, etc. It is fast and is suitable for blogs, personal portfolios, business websites, and WooCommerce storefront websites. Currently, 70 Astra themes are supported by the Elementor builder. Click here to view the themes. GeneratePress is a lightweight, powerful, and flexible theme that is built with a focus on speed and usability. It provides amazing support and is compatible with all major page builders like Elementor, Beaver Builder, etc. It includes widget areas, navigation locations, sidebar layouts, and dropdown menus (click or hover). Also, it looks great on all devices due to its high responsiveness. GeneratePress provides 9 themes that support both the free and pro version of Elementor. Page Builder Framework is specifically built for page builders and works great on Elementor, Beaver Builder, Divi, Brizy, and more. It is easy to customize and there is no bloat. It is 100% Gutenberg compatible, SEO friendly, WooCommerce ready, developer friendly, flexible, and extendable. You can build any type of websites like blogging websites, agency website, or WooCommerce storefront using this theme. Zakra is lightweight, modern, and a multipurpose WordPress theme. It is used to build professional and niche based websites like WooCommerce stores, charity, yoga, spa, and local business websites. It has custom colors, custom logos, footer widgets, full-width templates, and more. Currently, there are 10+ free themes. Click here to view the themes. Customify is a multipurpose theme that is fast, lightweight, responsive, flexible, and compatible with well-coded plugins like WooCommerce, Yoast, OrbitFox, BuddyPress, etc. It works well with Elementor, Beaver Builder, Divi, SiteOrigin, Visual Composer, etc. With Customify, you can build any type of websites like business agencies, corporate, education, university portal, restaurant, church, consulting, and more. Customify has five attractive free themes. There is customify pro plugin that extends the theme with more features like sticky header, blog pro, scroll to top, etc. Exclusive WYSIWYG header and footer builder. Neve is a fully AMP optimized theme and it is responsive across all devices. 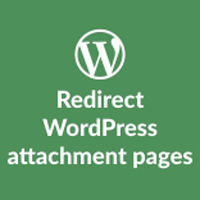 It is a lightweight and highly expandable theme which can suit any type of business. It has a deep integration with WooCommerce with which you can create online shopping websites easily. Also, it suitable for small business, blogs, firms, startups, personal portfolio websites, and so on. Neve has a flexible header, full-width template, grid layout, and works great with page builders like Elementor, Divi, SiteOrigin, Visual Composer, and Beaver Builder. Note – All the information mentioned in our blog was collected at the time of writing. The choice of a theme should be made based on the features it has. We have compared all the necessary features required in a theme to build an awesome website. Some of the above themes like Neve, Phlox, Astra, Page Builder Framework, GeneratePress have CSS3 animations and some themes like Customify and Zakra don’t. But, this is not an issue as Elementor page builder provides entrance animations feature. If you’re still confused on which theme to pick, we’d recommend Phlox. It perfectly suits most types of businesses as it has many of the required features to build an awesome website. By using Phlox you can easily customize any part of your website and enjoy the huge variety of theme options available. Do you have any themes to add in this list? Do comment below and share your thoughts.